There are an estimated nearly 5 million dog bites in the United States each year per the Center for Disease Control (CDC) 800,000 of these result in the need for medical attention. Roughly half of these attacks occur on the dog owner’s property, and these claims comprise roughly 1/3 of homeowners claims. As a Massachusetts bite lawyer, it always surprises me just how many people are bitten by dogs. 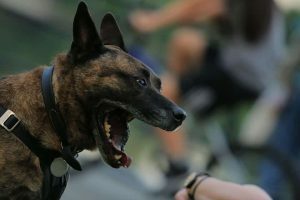 Dog bite claims are a type of premises liability claim. With the high frequency of these attacks means there are going to be many, many instances of personal injuries stemming from these attacks ranging from simple scratches, to even death. Consult with a professional (e.g., veterinarian, animal behaviorist, or responsible breeder) to learn about suitable breeds of dogs for your household and neighborhood. Spend time with a dog before buying or adopting it. Use caution when bringing a dog into a home of with an infant or toddler. Dogs with histories of aggression are inappropriate in households with children. Be sensitive to cues that a child is fearful or apprehensive about a dog and, if so, delay acquiring a dog. Never leave infants or young children alone with any dog. Have your dog spayed or neutered. Studies show that dogs are three times more likely to bite if they are NOT neutered. Socialize your dog so that it knows how to act with other people and animals. Discourage children from disturbing a dog that is eating or sleeping. Play non-aggressive games with your dog, such as “go fetch.” Playing aggressive games like “tug-of-war” can encourage inappropriate behavior. Avoid exposing your dog to new situations in which you are unsure of its response. Never approach a strange dog and always avoid eye contact with a dog that appears threatening. Immediately seek professional advice from veterinarians, animal behaviorists, or responsible breeders if the dog develops aggressive or undesirable behaviors. Massachusetts dog bite law states that, with very limited exceptions, if your dog bites, and/or attacks someone you are automatic liable. This is legally called strict liability. Therefore, owning a dog carries serious potential legal liability. Regardless if you own or rent your home, you must purchase liability insurance. If you own your home you must have homeowners insurance, and if you rent your home, you must have renters insurance. This will protect you in the event of a dog bite. The liability insurance company will pay the dog bite victim’s medical bills, lost wages, and pain and suffering. If you don’t have insurance, you are personally exposed in the event of a claim. That means if a claim or lawsuit is filed, you are on the hook financially. Some dog bite claims are worth hundreds of thousands of dollars. Be sure you always carry adequate insurance in the event your dog bites or attacks someone.